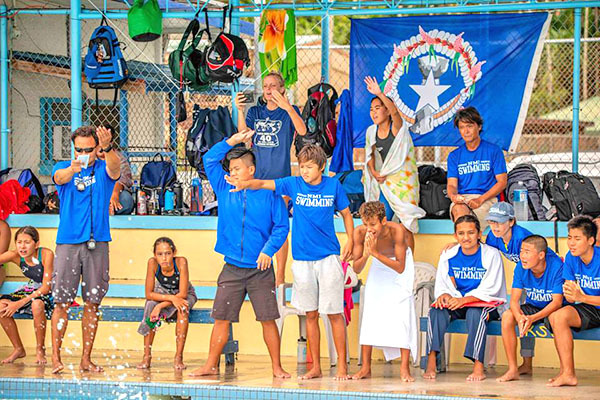 The CNMI swimmers who were greatly impacted by the closure of the Kan Pacific Pool and Super Typhoon Yutu persevered and turned out to be the champions of the Inaugural Micronesian Swimming Championships held in Palau. 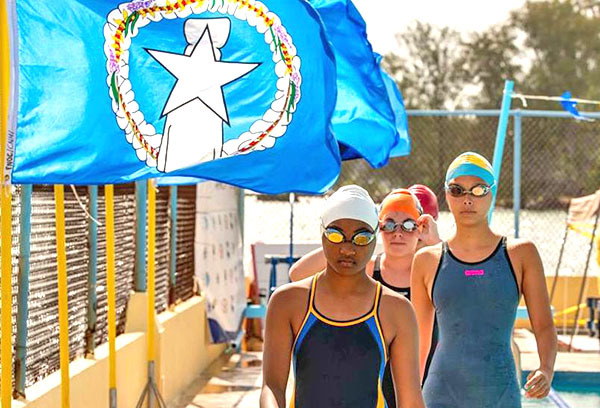 Team CNMI collected 44 gold medals, 28 silvers, and 10 bronzes to rule the tournament held at the National Swimming Pool in Meyuns from April 4 to 6. 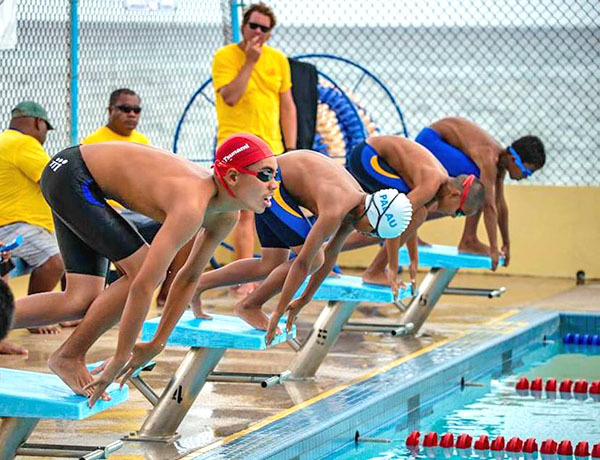 The squad is made up of 10 swimmers from Tsunami Saipan and eight from Saipan Swim Club. Official and detailed results of the races at the 25-meter pool were unavailable as of press time. Siblings Jinnosuke and Lennosuke Suzuki, sisters Jinju and Jinie Thompson, Taiyo Akimaru, Sophia Gauran, Savita Sikkel, and David Boyer were the SSC members that joined the competition, while Tsunami Saipan was represented by Nelson Batallones, Joseph Zhang, Juhn Tenorio, Aika Watanabe, Isaiah Aleksenko, Hans Xu, Kean Pajarillaga, Ashley Dangol, and Shoko Litulumar. Both clubs endured the challenging training conditions here heading into their first off-island tournament, as they were left without an appropriate swimming venue when the Marpi pool shut down last Sept. 30. Tsunami Saipan and SSC swimmers turned into hotel pools and open water for their training, which less than a month after the Marpi pool closure was suspended when Yutu flattened the island. The CNMI swimmers were forced to take a break from swimming for months, but remained determined, as they returned to their regular training session in December to prepare for off-island competitions, including the Palau-hosted regional tournament. Palau finished second to Team CNMI in the medal standings with its 17 gold medals, 22 silvers, and 31 bronzes, while Pohnei had an 8-10-7 tally, and the Marshall Islands hauled eight silvers and 10 bronzes. SSC co-founder witnessed Team CNMI ruled the inaugural competition in Palau, as he was an official in the event. 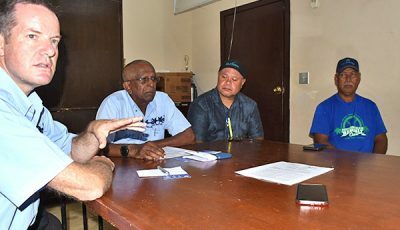 The CNMI Hall of Famer also facilitated SSC swimmers’ last training session before they headed to Palau and wished that they could go back to an appropriate swimming venue. “The government and the community should find a way to get the pool operational. I know it’s very expensive to maintain the pool, but there’s a solution to that,” said Sakovich, who suggested charging fees for the usage of the facility. “It’s a community pool and everybody uses it. It really bothers me to see the pool closed. That pool has done a lot to our swimmers, to the community. Swimmers won medals for the CNMI and managed to go to college through scholarships because of that pool,” the Father of Swimming in the Pacific said. Kan Pacific, who took care of the Olympic-sized pool for nearly four decades, shut it down along with other facilities in Marpi after its lease extension agreement with the Department of Public Lands expired last Sept. 30. Then, initially, Imperial Pacific International (CNMI) LCC was given the green light to take over the management of the Marpi property, but there was a change of plans and now the pool is left to deteriorate.